See the big picture, and the meaning behind it, quickly and efficiently. TruVoice gives context to your data and how to use it for better direction. 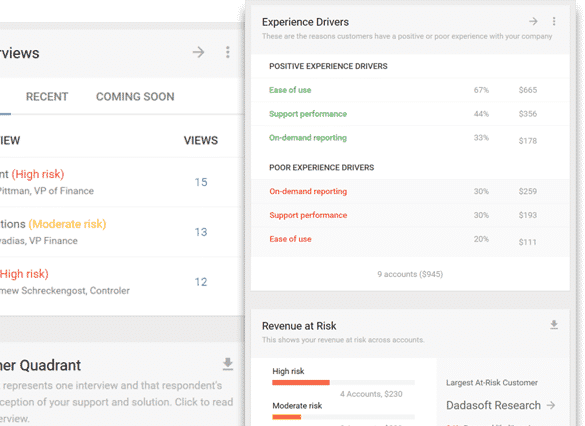 TruVoice provides the high-level view of your interview findings and brings your most important trends to the surface. It gives you the big picture without sacrificing meaning. 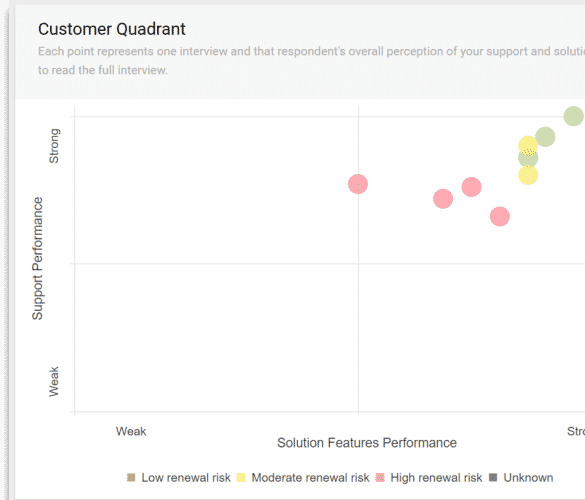 TruVoice’s new Dashboard also puts each interview into context by helping you see how it compares to other deals. The focus of new TruVoice is not data delivery. Its focus is to identify insights and distribute them throughout your organization. Of all your customers, do you know how many might not renew? In recent deals, do you know why a competitor keeps beating you – even though you have the better solution? 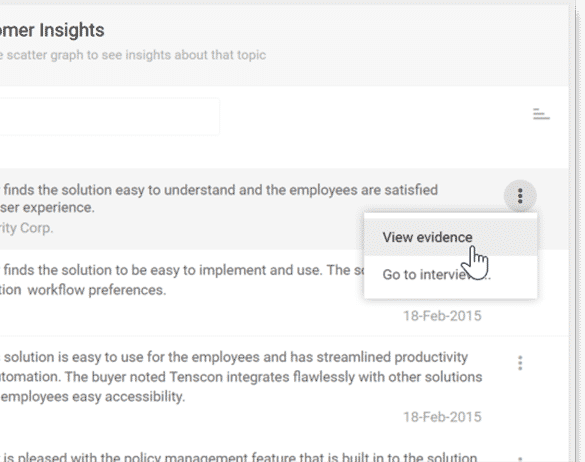 TruVoice elegantly exposes unknowns so you can get to work addressing them. Intelligence becomes actionable when it is specific and when there is evidence to support it. TruVoice delivers specific, key findings and enables you to drill into the detail when and where you need it.